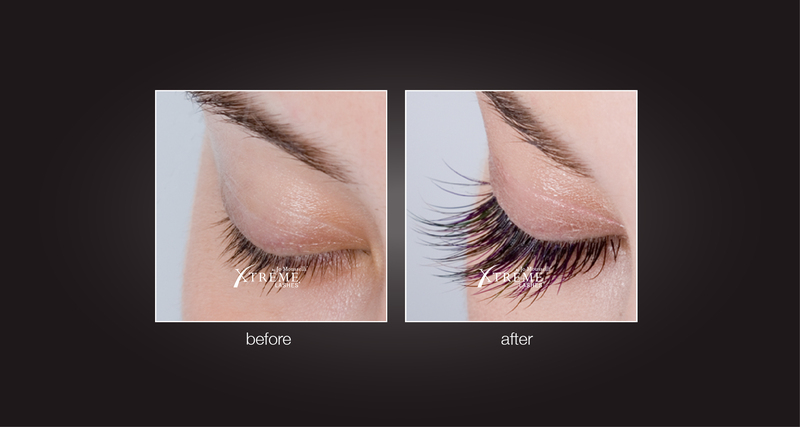 Xtreme Lashes eyelash extensions will lengthen, thicken and give you most beautiful lashes available on the market today. One lash at a time, single strands of synthetic eyelashes are applied to your individual eyelashes for a natural, elegant and luscious look. 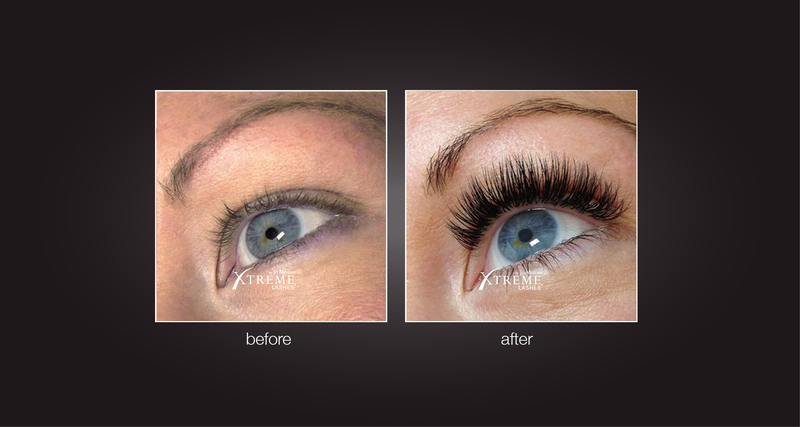 Xtreme Lashes eyelash extensions last up to four weeks or forever with touch-ups. We creatively design a unique, personalized set of lashes using a variety of lengths, thicknesses and colors to suit the shape of your eyes, tailored to suit your personality and lifestyle. 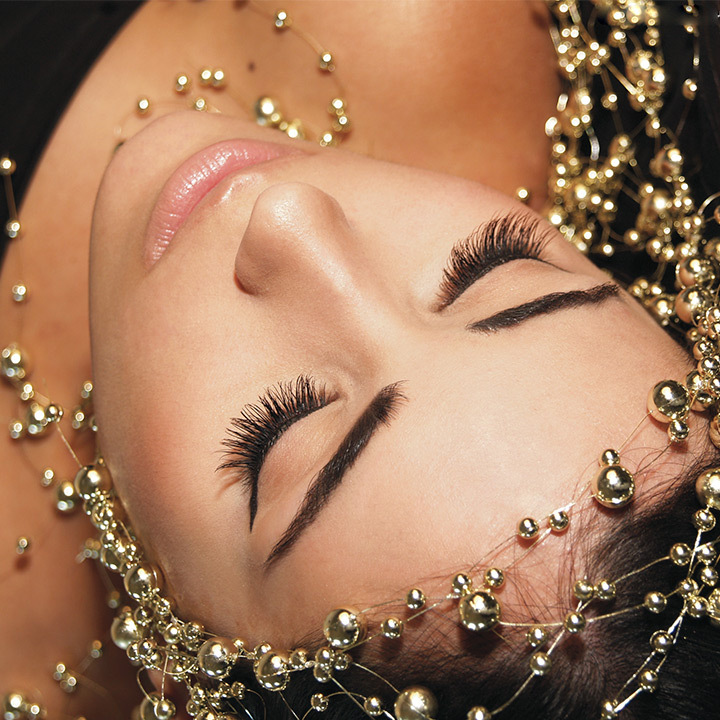 We can also create more dramatic or glamorous lashes to your satisfaction. Gives you a very natural, longer and more luscious set of eyelashes. Done it black or brown colors. Please remove any makeup from your eye area and avoid using eye cream to your appointment. If you wear contacts, please wear your glasses to your appointment. Our lashes grow on a cycle and shed every 45 – 90 days. We recommend to come every 2-3 weeks to maintain the length and thickness of your lash extensions. During this time a touch-up is needed to replace the lashes that have completed their lash cycle. 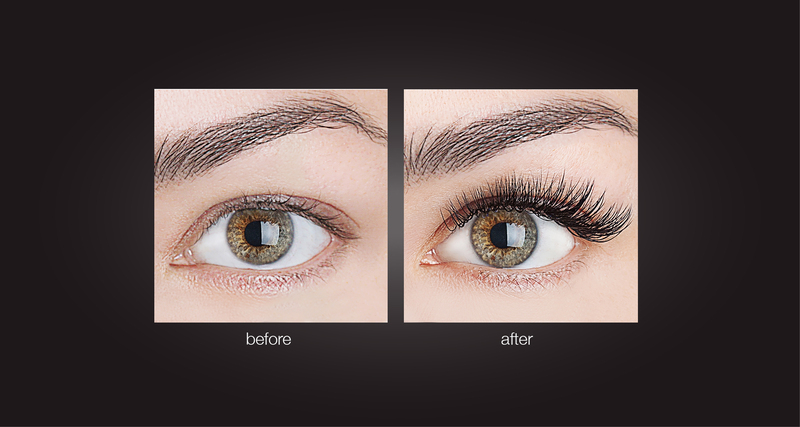 The procedure will start with a consultation to design your customized lash look. Then you will be laying comfortably in one of our beautiful spa rooms in total relaxation with your eyes closed. You may fall asleep and awaken to longer, thicker and more voluminous lashes. During application, our stylist will individually bond one eyelash extension to one natural lash to create a seamless look and feel as if these eyelash extensions were your own. We also use a proprietary line of Xtreme Lashes Adhesives to adhere the Xtreme Lashes Eyelash Extensions safely to your natural lashes. To allow the adhesive time to fully bond – do not expose your lashes to water or steam 24 hours after application. For best results, we recommend avoiding swimming and the spa for 48 hours after lash application. Apply Protective Coating (available at Pigalle Salon & MedSpa) once or twice per week on your new lashes to preserve the look and extend the life of your Xtreme Lashes Lash Extensions. Brush on from the base up to the tips. This coating also gives the lashes a wonderful shine! Be gentle with your eyelashes and do not pull on the extensions or rub the eyes excessively. Do not use a traditional eyelash curler, as this may damage the bond of the adhesive. You may use a heated eyelash curler designed for Xtreme Lashes, also available at Pigalle Salon & MedSpa for purchase. 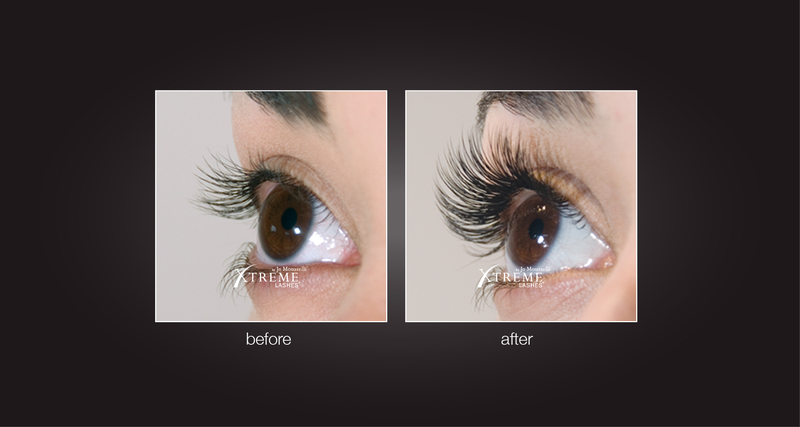 Can I swim, shower, exercise, or visit a spa while wearing Xtreme Lashes Lash Extensions? A competitive swimmer who is constantly in the chlorinated water may lose some lashes earlier than the average person as may someone who gets very frequent facials (weekly) or goes into the steam room daily. Doing an above average level of activities related to heat or constant water exposure may weaken the adhesive bond, causing some early lash extension loss. 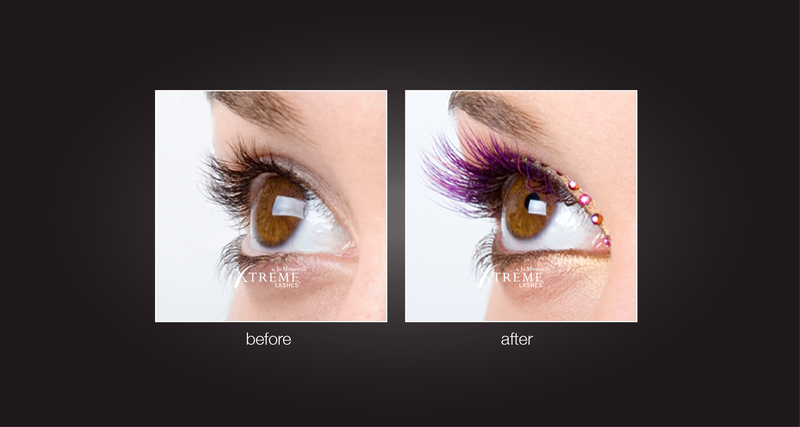 Do I need to use any special products on my Xtreme Lashes Lash Extensions? There are no products that are required to be applied to the lashes. Optionally, you can use Xtreme Protective Coating®, which acts as a sealer on the adhesive, creating an even stronger bond to the natural lash. 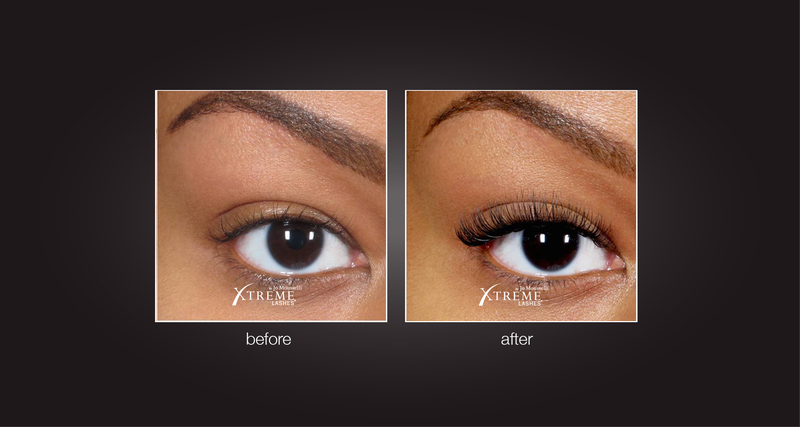 It can be applied one to two times per week on the lashes to enhance the strength of Xtreme Lashes® Lash Extensions. Xtreme Lashes® Lash Extensions especially recommends this product to those clients with oily skin or those who do not carefully maintain their lashes. If you choose to wear mascara we recommend using one of the Xtreme Lashes® Lash Extensions water-based mascaras and Xtreme Lashes® Lash Extensions Eye Makeup Remover , specially formulated for Lash Extensions. Apply mascara on the tips only. 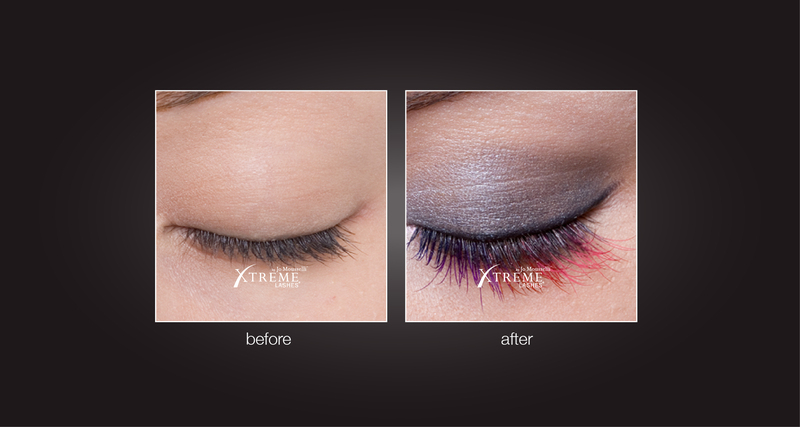 Additional curl can be safely added to the lashes with an Xtreme Lashes® Lash Extensions Heated Eyelash Curler. 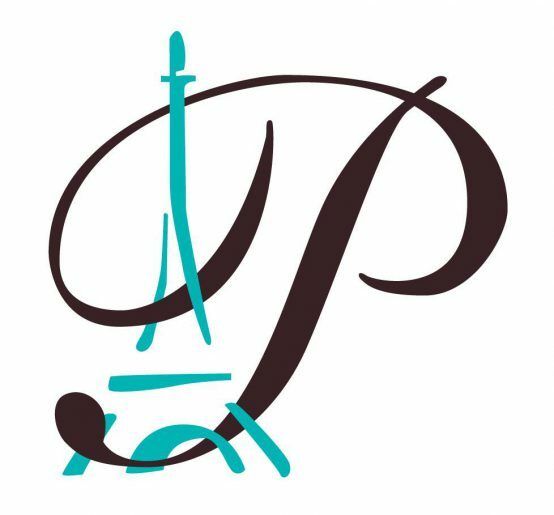 All products are available at Pigalle Salon & MedSpa. Can I apply mascara to Xtreme Lashes Lash Extensions? 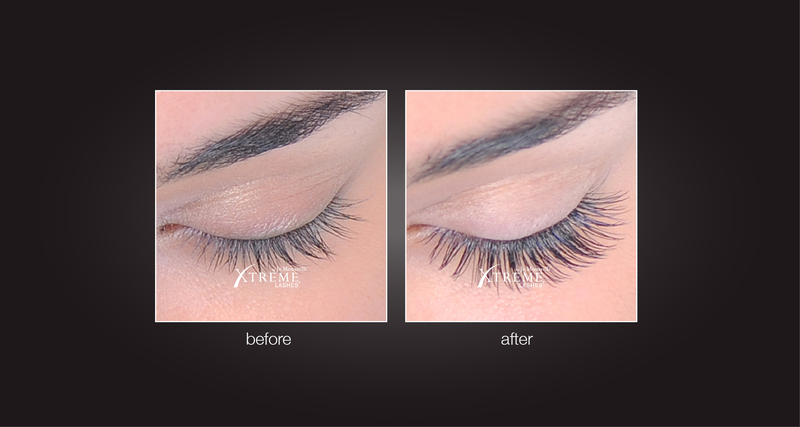 Indeed, one of the main advantages of Xtreme Lashes Lash Extensions is that you never need mascara again. However, if you must have the mascara-look, only water-based mascara can be used. You can purchase water-based mascara at Pigalle Salon & MedSpa. 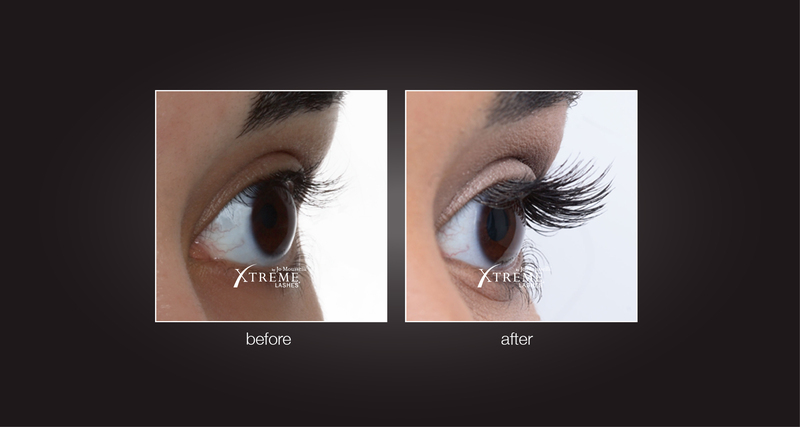 For more information visit Xtreme Lashes website. Love my eyelash extensions. Got a full set of Xtreme Lashes for a great price - $150. Took a little over an hour and the extensions are lasting me for almost a month now! Amazing quality and work! !